My youngest daughter is a very big Harry Potter fan and seems to know every detail about the topic. In a couple of weeks she is going to Oz Comic-Con here in Melbourne in a Hermione Granger costume and asked me to make her the beaded bag. I did a bit of research and the blog Finding My Way gave me a lot of inspiration on how to make it. 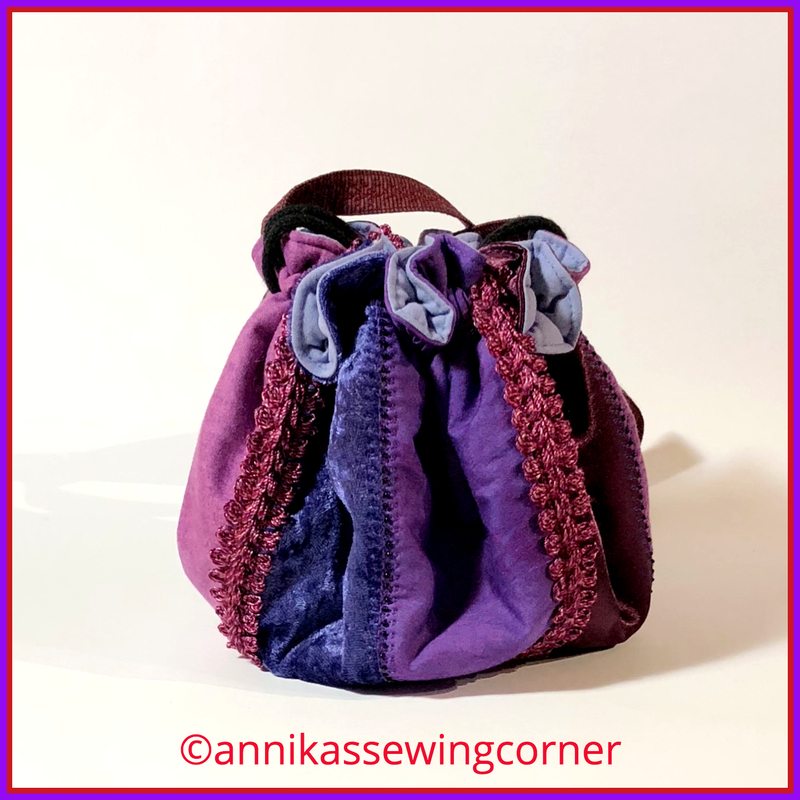 I have made a tutorial and a pattern that you can download from my tutorials page or use the links. This is my version of the bag and not a replica. It is a quite easy tutorial and one of those projects where you can play around with materials and embellishments. In addition to cotton fabric I used scraps of velvet and satin. For embellishments I used a braided ribbon and black seed beads and also the decorative stitches on my sewing machine which I usually don’t use very often. I hope you enjoy the tutorial.